Imagine celebrating your birthday like you’re 10 years old again. Full of joy, excited for the year ahead, doing something you love with the ones who make you smile. Why do so many of us stop celebrating as the years pass? Birthdays come and go – maybe there’s a dinner involved, a few cards, some well wishes online. We move up one number, and it’s business as usual. 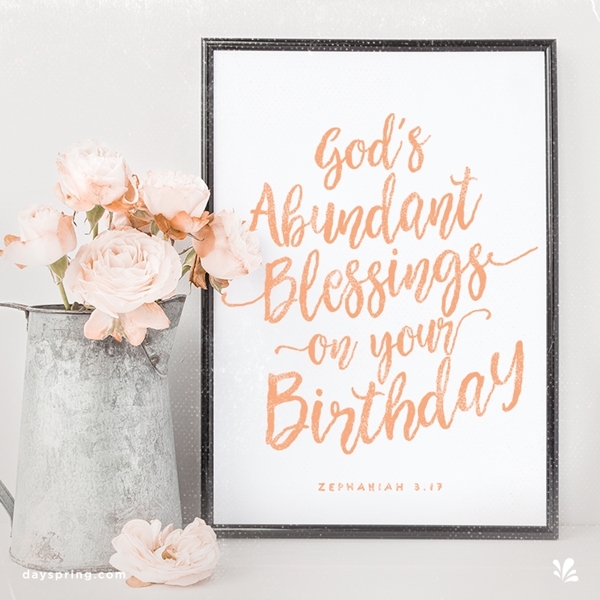 What would it look like to really celebrate our years again – to begin shifting our focus from the fear of aging, to the rich, full lives God is calling us into as the years pass? But what does God say about it all? If we listen to the One Who created us, we will hear all about grace and goodness; not fear and resistance. He reminds us more than once in His Word that growing older is an honor. “Gray hair is a glorious crown…” Proverbs 16:31 CSB. The more years we live, the more experiences we’re given to learn from, and the more wisdom and perspective we gain to see life in new and beautiful ways. When we see someone in their later years (or when we look in the mirror and it’s us!) let’s remember what a gift that is. And while the media leads us to believe that youth somehow has more value, the truth is, we are treasured by God at everyage. Not only that, but He gives us specific gifts to share with the world in every season of our lives. In Titus 2:3-5 CSB, Paul reminds the older women of their great purpose – that by living reverent lives of love, self-control, purity and kindness, they will bless and nurture the hearts of the younger women and their families. The generations to come depend on our willingness to share what God has given us. Some of us also fear growing older for physical reasons. Aging is often seen as a loss of control. Maybe our bodies aren’t able to do what they once could; our memories aren’t as sharp; we begin to need more help than we used to. As the years pass, our fear of the unknown may grow stronger. How can we lean into God as we age, trusting that every day matters, from our first to our last? Claim His Promises - Sit with a journal and your Bible, and interview yourself about growing older. Am I afraid of aging? And if so, why? Once you’ve recorded your thoughts, find specific promises in God’s Word that will help bring you peace and assurance. Make Healthy Choices - While the human body is not intended to live forever, we can still honor our Creator by making choices that bring us health and strength each day. We are here at this time for a reason – let’s not miss the opportunities to help guide and encourage those around us! Celebrate Life Every Day - Whether you’re celebrating your birthday or that of someone you love, remember that every day in every life matters. Don’t wait for a milestone to make it extra special. Look in the mirror and cherish your laugh lines; remember how they are created. Smile at the grays; God says they are splendid. Laugh at the future; remember Who’s holding it all. Know someone with a birthday coming up? Share this article with them by clicking on the email & social media buttons on this page. Help them make it more than “just another year” with a thoughtful card and inspiring gift, or send them a quick Birthday Ecard. Remind them that God’s love – and yours – will be with them at every age! Smile at the grays, God says they are splendid. Laugh at the future, remember Who’s holding it all.